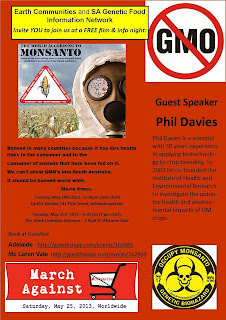 We will Screen the first half of the movie "The World According to Monsanto". 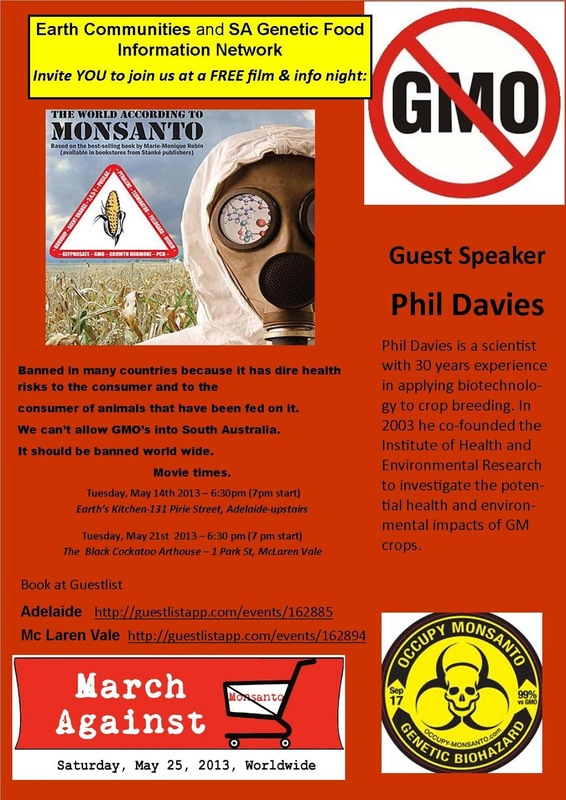 Phil Davies, GM Food expert, will speak followed by question and answer. Break for a refreshments and chit chat. We will then complete the movie for those who want to stick around or the movie can be seen on Youtube if it gets too late.